Suggested Use: Use only 1/3 of the suggested serving size (approx 1 level scoop) with water or milk - This is an American brand and the serving size suggested on the back is far too large. Blend on high for 45 seconds or until thoroughly mixed. For maximum weight gain, take three servings daily; one in the morning, another in the afternoon and a final serving at bedtime (20 minutes before going to sleep). Chocolate Peanut Butter Cup: Combine 24 oz. milk, 2 heaping scoops of Chocolate Serious Mass, 4 tbsp. of peanut butter and 1/2 cup of chocolate or vanilla ice cream in a large blender. Mix for 45 to 60 seconds, at highest speed, until smooth. Enjoy! Vanilla Nut Dream: Combine 24 oz. milk, 2 heaping scoops of Vanilla Serious Mass, 2 oz. chopped almonds, 1/2 cup vanilla ice cream and 1 tsp. vanilla extract in a large blender. Mix for 45 to 60 seconds, at highest speed, until smooth. Drink Up! Strawberry Colada: Combine 24 oz. milk, 2 heaping scoops of Strawberry Serious Mass, 1 ripe banana, 1/4 cup shredded coconut, and 1/2 cup frozen strawberries in a large blender. Mix for 45 to 60 seconds, at highest speed, until smooth. Indulge! Note: Add more milk to any of the recipes if you prefer a thinner shake. 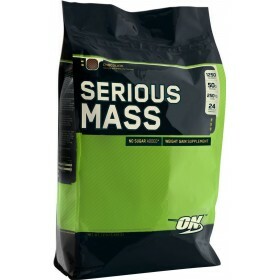 Serious Mass by Optimum Nutrition is formulated for athletes who are serious about packing on quality mass. Each serving delivers over 1,250 nutrient packed calories. In addition, Serious Mass provides 50 grams of muscle building protein from quality sources like Ultrafiltered Whey Protein Concentrate, Calcium Caseinate and Egg Albumen. By combining low glycemic carbohydrates with MCT's Serious Mass will fuel your body with enough energy to carry you through even the most demanding workouts. 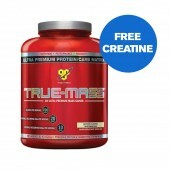 A special blend of vitamins and minerals gives Serious Mass a complete nutritional profile. 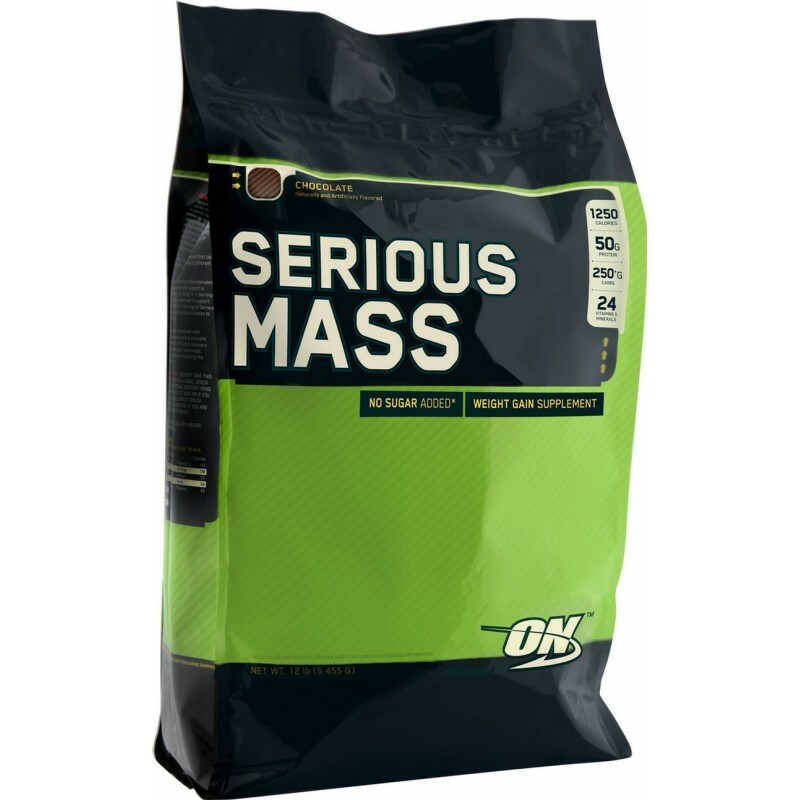 Serious Mass is available in three delicious flavors.